May 22, 2017 April 28, 2017 / Julie Brook, Esq. When dealing with a family home that’s entirely or substantially part of the parties’ community property, the facts of the situation will lead to taking one of the following five approaches in the divorce agreement. Interspousal cash sale. 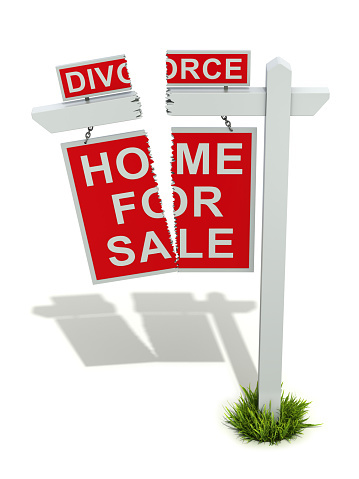 When one party wants the family home but other community assets aren’t enough to give the other spouse an equal overall division, consider an interspousal sale. The acquiring spouse generally uses separate property funds to purchase the other’s interest in the home. Transfers between the parties under a marital settlement agreement generally won’t result in any gain or loss for tax purposes. See IRC §1041. But when there’s a loan secured by the home, the lender might be able to insist that the loan be paid off in full under a “due-on-sale” clause if it finds out about the interspousal sale. And if the spouse buying the other’s interest can’t do so without getting a loan, you may want to include a provision in the marital settlement agreement that makes the sale conditional on adequate financing. Interspousal promissory note. When the transferor is taking back a promissory note, it’s important to verify that the equity in the family home is enough to secure the obligation. It may also be appropriate to get title insurance to protect against any error in the assumed priority position of the deed of trust for foreclosure purposes. Sale to a third party. You can use either a general provision in the marital settlement agreement that the home will be listed for sale—immediately or within a set time period—and leave the details of the sale to be agreed on by the parties, or you can include a more detailed provision that includes, for example, who will handle the listing and the listing price. You may also want to include provisions addressing the relationship of the parties with respect to the home in the period pending sale (see below). Evaluate the potential tax consequences of the transaction, in particular whether the parties are likely to be able to exclude entirely the capital gain realized on the sale. See IRC §121. Continued joint ownership pending a deferred sale. If the home will not be sold immediately, include provisions addressing the relationship of the parties with respect to the home during this period of continued joint ownership. For example, include provisions on how title will be held, who will occupy the home, who will pay for costs of maintenance/repairs and taxes/encumbrances. In most cases, any joint tenancy should be severed early in the process in favor of holding the property as tenants in common, because of the survivorship aspect of joint tenancy if one party should die before the property is sold and sale proceeds are distributed. Awarding the home to one party. As part of an overall equal division of community property, the parties may decide to award the home to one of them. Note that the parties don’t have to divide the community property equally. Fam C §2550. And transfers between the parties under a written marital settlement agreement generally won’t result in any gain or loss for tax purposes. See IRC §1041. In deciding how to proceed, consider whether there are any separate property reimbursement issues under Fam C §2640, or any Moore/Marsden-type apportionment issues between the parties. 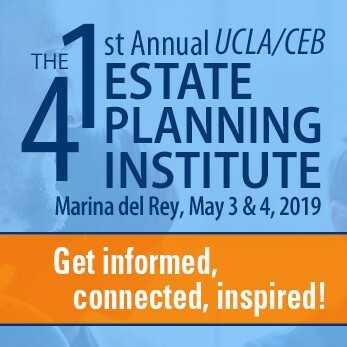 For details on each of these approaches, along with sample language to include in a marital settlement agreement for each approach, check out CEB’s California Marital Settlement and Other Family Law Agreements, chaps 9 and 10.